I consulted with a 30-year-old First-Amendment organization in crisis. In 2013, they raised $181K against a budget of $300K. One of their board members gave them $150K with the stipulation that they hire a fundraising consultant. They hired me. In 2014, with my involvement, they raised $575K, and, in 2015, they repeated their success. The numbers reveal only part of my impact. I have completely changed their mindset and culture around money and fundraising. They now have systems and processes to create a more stable (and powerful) organization. When I met the founder of this synthetic biology nonprofit, the five-year-old organization had $4,000 in the bank. I asked them to find $10,000 in seed money to hire me to become their executive director. They did that, and I started work. One month later, I helped them secure their first $50,000 sponsorship. We never looked back. Four years later, I had raised almost $2 million for the organization from foundations, individuals, government agencies, corporations, and earned income from two scientific conferences that each had a budget of approximately $500,000. When the Great Recession arrived in late 2008, this organization was hit with a loss of $3 million in revenue overnight. The organization cut $2 million from its budget of $32 million, but still faced a $1 million shortfall. I went to work building the individual donor program, which was extremely undeveloped for an organization of this size and age (over 100 years in operation). 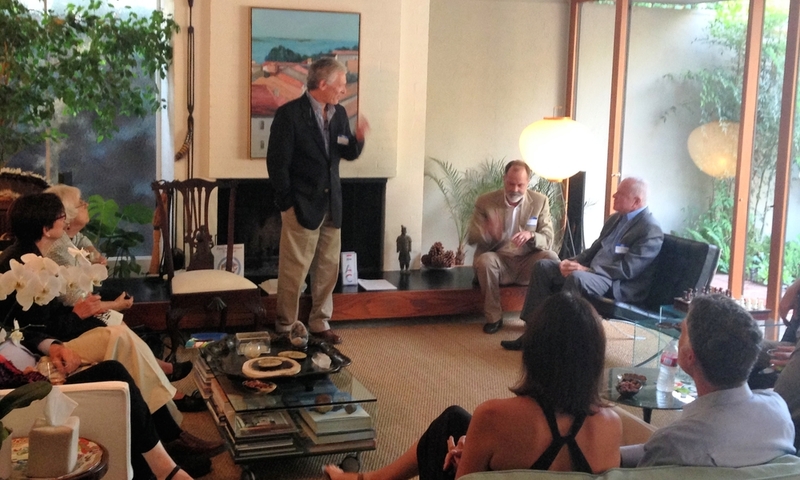 First, I approached a long list of San Francisco foundations, cold-calling many, and secured meetings. I attended these with the organization’s CEO and secured over $100,000 in discretionary grants to start a campaign. I then secured $100,000 from first-time major donors and then another $50,000 from another donor through direct solicitation. I led the organization through an emergency fundraising campaign that raised $750,000 in income in less than six months. This nonprofit newspaper had been in operation for five years when they reached out to me for help. Their initial grant support was coming to an end, and they did not have a plan for sustaining their funding. They had only five-months’ operating cash in the bank and needed to raise money ASAP. I did an assessment and wrote a very simple campaign-based fundraising plan focused on individual donors. I created a prospect table which we used to prove there were enough prospects to justify the goals. Phase One was a three-month, $50,000 campaign, Phase Two was a second three-month, $50,000 campaign, and Phase Three was a 12-month, $200K campaign. I trained their board, coached the two executive staff in securing a $20,000 matching grant and advised them about approaching major donors for additional gifts to launch Phase One with more than half the goal accounted for. The clients took over the campaign, with me coaching them. The completion of Phase One averted their crisis and guaranteed they would stay in business. I was referred by a happy client to a 16-year-old nonprofit in Richmond, CA. The organization was bringing in $600K in foundation grants a year but was having trouble expanding its individual and corporate support. I worked with the executive director, development associate, and board to conduct an assessment. This showed me the organization was doing too many fundraising events, thereby wasting time, money, and opportunity. I advised the client to eliminate its annual fundraising dinner and move to a campaign-based fundraising effort. While the client was anxious about these changes for the campaign, I convinced them to try. The client set a fundraising target of $50,000 — and in eight weeks, raised approximately $75,000! I also advised the client about approaching their biggest foundation for a large matching grant — the foundation was so impressed with our plan they elected to give the nonprofit $100K in 2016, $100K for 2017 and $50K for 2018. There was a multi-million dollar after-school agency that got most of its funding from government contracts. The organization’s individual donations and corporate sponsorships were almost nil. I set to work writing a fundraising plan to build these revenue streams. I discovered that the entire after-school field was not doing individual fundraising. The executive director and I agreed that the organization would work to build a base of individual support not only to benefit their organization, but also to show the entire field what is possible. I wrote a plan and designed the “Field of Power Campaign.” I helped the organization secure a $25,000 matching grant from a foundation. They not only met their goal, but exceeded it! One of Holly's client organizations hosting a house-party fundraiser.